That is right, I am posting twice today - what are you going to do about it?? If you missed my earlier post you can click here to participate in an awesome giveaway. 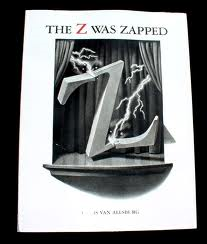 The Z was Zapped by Chris Van Allsburg. 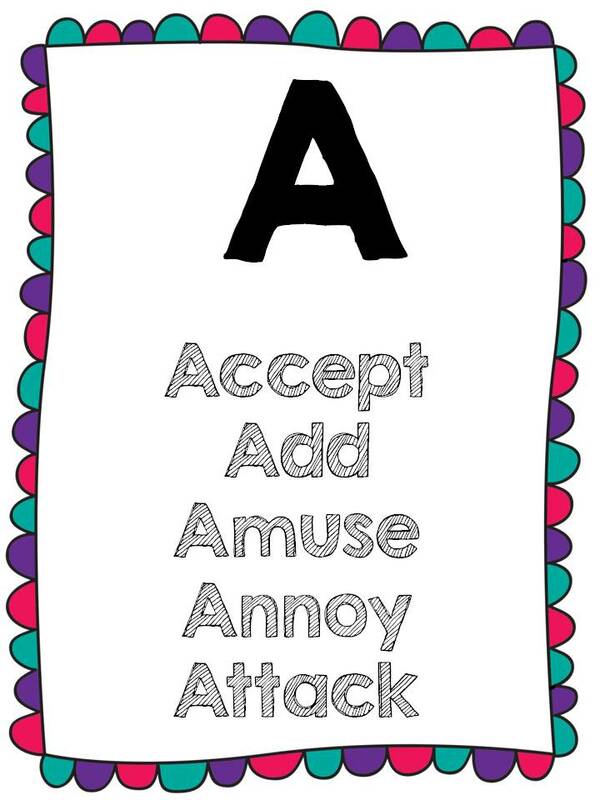 This is a pretty straightforward alphabet book. 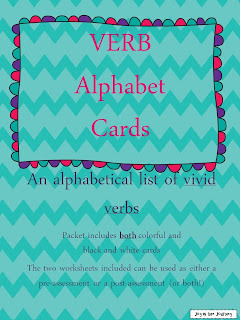 Each letter of the alphabet has something happen to it - not regular old verbs, but fun and interesting verbs, like overgrown and quartered and uprooted. The text for each picture is on the page behind the picture so the students can look at the pictures and predict what will happen to the next letter. 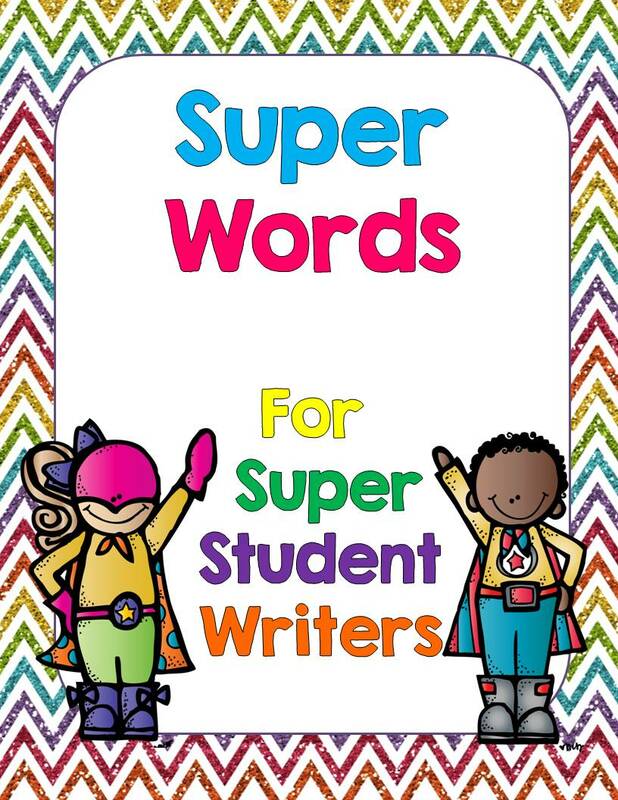 I use this book to review verbs and for word choice - when we need to pick strong verbs or vivid verbs - whatever you call it! 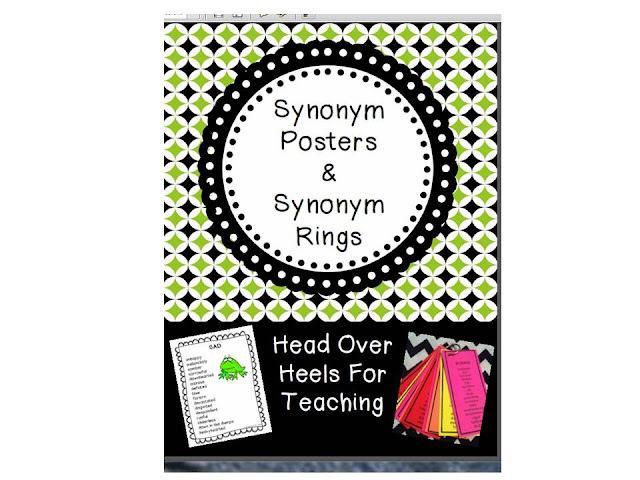 and these synonym posters from Joanne at Head Over Heels for Teaching. Be sure to check out the other books being linked up this week! I love this book...let's be honest, I love all books by Chris Van Allsburg. Thanks for sharing some of the activities you use with the book. Pure awesomeness!! I love it! I totally forgot about this book (bad teacher!!) I will have to either get it or find it in the media center very soon! 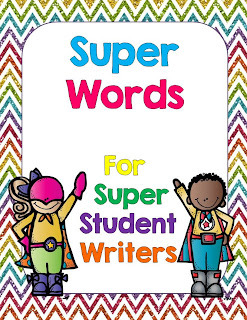 I love your word lists that are easily accessible to students!! Cute!!! Thanks for linking up and risking the double post! I hope you have a great week next week! I will be thinking of you! I love Chris Van Allsburg! What a great book! I love Chris Van Allsburg! 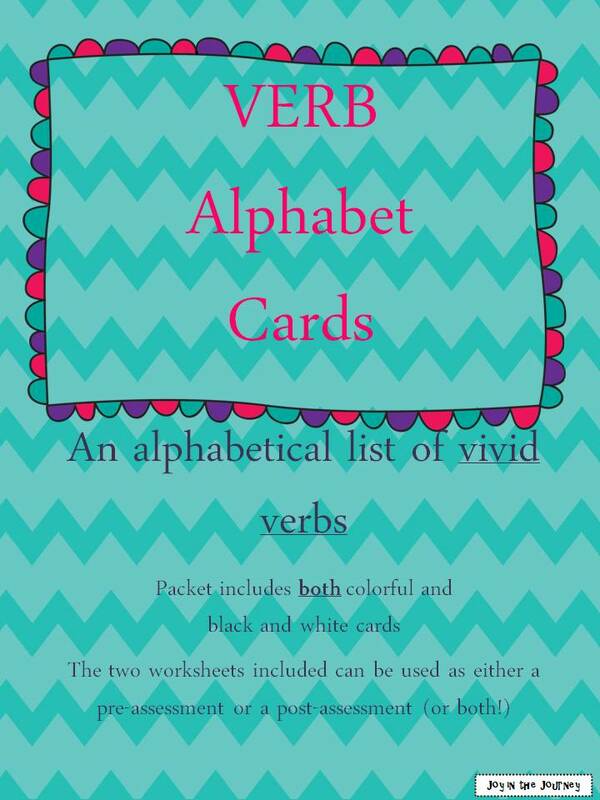 I'll be using this one when we start reviewing verbs. Thanks for all the great ideas! AMC, you are so good to me! Thanks for the shout out! I'm a huge fan of Chris Van Allsburg and I don't think I've seen this book!!!! What??!! I MUST have it for my collection! I love your binder idea for easy access to words! So clever! Looks like I am not alone in my love for all that is van Allsburg! Thanks for the super hero cover. It fits perfectly with my theme this year. This is a great book! I love your binder idea. I think I'm going to give that a try.